The millennia-old rift between Arabs and Israelis serves as the backdrop for this witty, gentle story of an Egyptian spy and an Israeli woman. Ishmael al Mohammed’s official duties become complicated when he falls in love with the woman he’s been ordered to follow. When the suave, English-educated Ishmael meets the graceful Rebecca Silverman during a casting call, he doesn’t know what to expect. 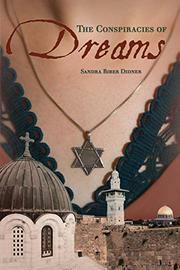 Eventually, he attempts to fake an Israeli heritage in order to woo her, and an intense romance blooms. Faced with the vicissitudes of war—including the violent deaths of friends and family members—the two part ways, leaving unrequited emotions and questions in their wakes. After years of separation and silence, chance offers them a bittersweet reunion, as Ishmael helps a disoriented Rebecca flee the scene of a suicide bombing. This story, spread out over decades, effectively sketches the thoughts and trials of all its characters and provides insights into the social, historical and psychological forces that shape their lives. It also skillfully weaves a fabric of multiple voices; its narrators include beings as supernatural as Diana, the Goddess of the Moon, and as worldly as David Ben-Gurion, Israel’s first prime minister. Didner’s creative, and surprisingly felicitous, use of history not only includes these personas, but also verbatim quotations from meetings pertaining to the Protocol of Sevres, a pact formed between the United Kingdom, Israel and France in 1956. Although nationalism, race and religion fracture the characters’ relationships, a common thread of sympathy, spurred by tragedy, redeems their suffering and offers the prospect of hope. A serious, imaginative work of moral fiction and a thoughtful portrayal of lives touched by ongoing conflict.